NOTICE: This WEB Site Is Being Upgraded With More Inputs And A New Weather Station. The Current Weather Station Hardware Is Beginning To Fail (After Nearly Twenty Years) And It Is No Longer Supported By Its Manufacturer - Replacement Sensors Are Not Available. In Addition, The Software We Have Been Using For Nearly As Long Is Also No Longer Supported. 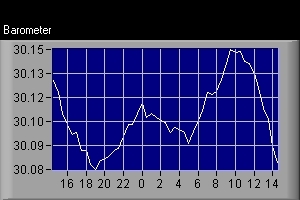 In The Next Few Days, You Should See A New Format For Data Directly From Our New Weather Station. We Thank You For Being Long Term Users Of This Site And Hope You Will Enjoy The New Futures As Well. The Rapid Fire (Updated Every Few Seconds) Windows Are Now Reporting Data From Our New Station And Should Be VERY Accurate. More To Come Soon! All Your Weather Information In One Place! Currently Unavailable - Watch For New Forecast In March! Press The Button Above For A Smaller, Faster-Loading Page, Suitable For Dial Up Connections. This WEB Page Is Provided By TeleHobbies, Inc. Simply Because We Enjoy Doing It And Because We Have Received SO Many Positive Comments About It. The Data Is From Our Own Private Weather Station, Other Private Weather Stations In The Area, And Public Information From Other Sources. There Is No Advertising, PopUps, Or Malware Of Any Kind. Press The Button Above To REPLACE This Page With A Page Showing Radar And Local Conditions Only, And Updates Automatically. 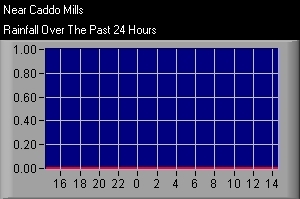 The window below is from our new weather station's observations. Please ignore any indications below this window of temperature, humidity, and wind speed as we redesign this WEB page and integrate the new weather station into it. 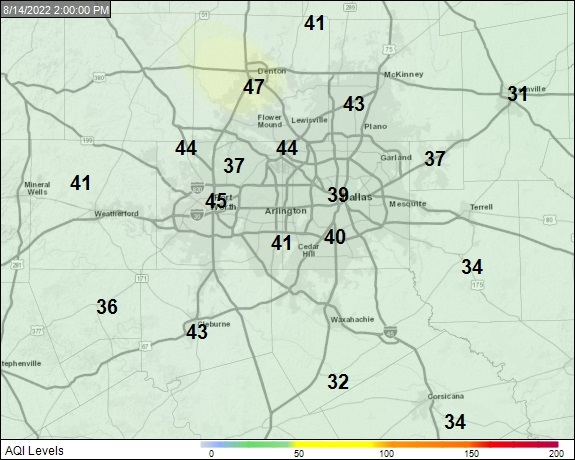 The new data is also available on Weather Underground. Be aware that historical data here may take a week or so to catch up. Thank you for your patience. Previous Record Rainfall: Single-Day - 03/19/2006 4.65 Inches Single-Storm - 03/17-20/2006 6.07 Inches. 1998 3.53 2.91 3.02 1.04 N/A N/A N/A N/A N/A N/A N/A N/A ??.?? 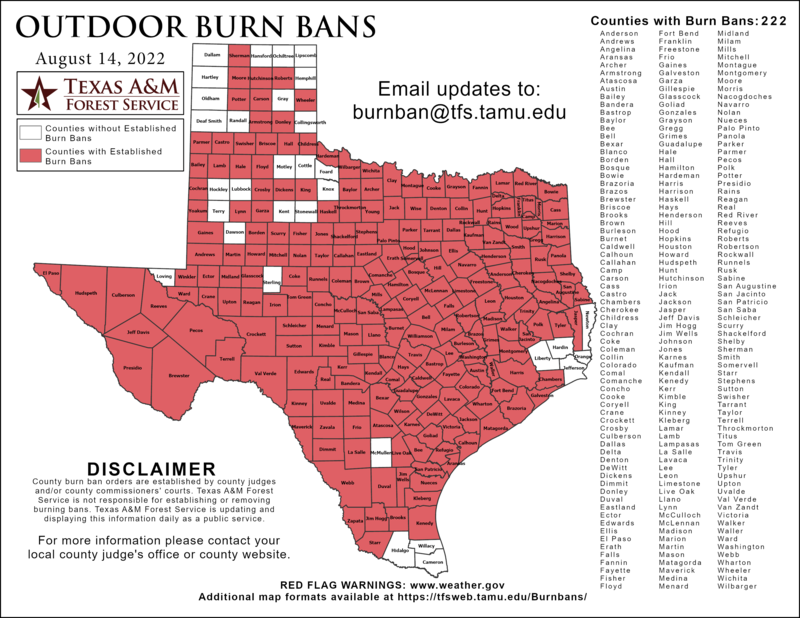 There is NO BURN BAN In Hunt County As Of 8/14/2018! At The Surface Of The Water And That The Yearly Charts Below Refer To "Acre-Feet," Which Is Not The Same Thing. And Is Equivalent To 43,560 Cubic Feet Or About 326,000 Gallons. To A Depth Of 1 Foot And Is Equivalent To 43,560 Cubic Feet Or About 326,000 Gallons. This Chart Should Be Updated After The End Of Each Month. Lowest Level We Observed In 2006: 12/28/2006 = 424.90 = 12.60 Feet Low! Lowest Level We Observed In 2006: 10/10/2006 = 430.61 = 4.89 Feet Low! 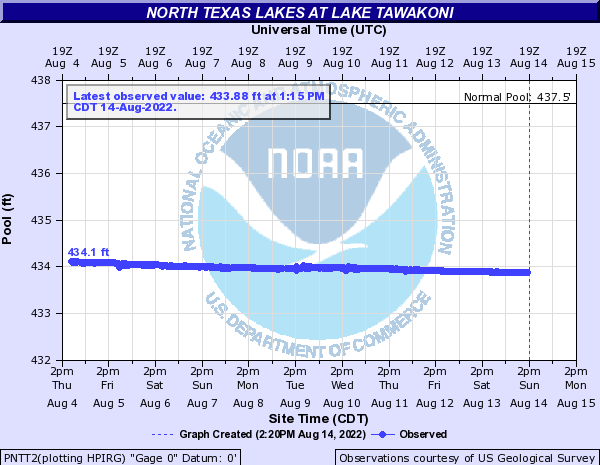 The LOWEST Level We Observed Was On 11/05/2006 - 474.86 - 17.14 Feet LOW! 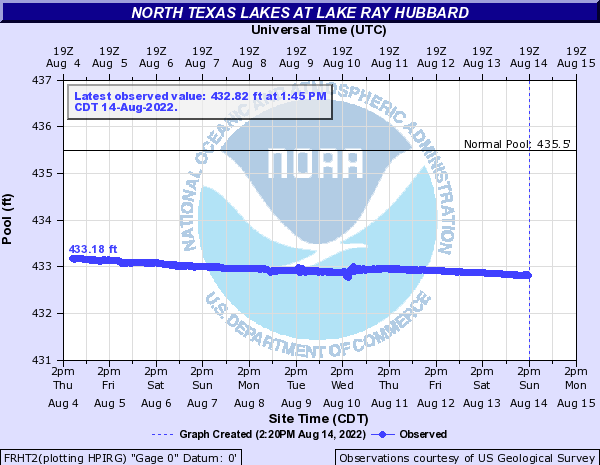 The LOWEST Level We Observed In 2011/2012 Was On 11/19/2011 - 478.77 - 13.23 Feet LOW! 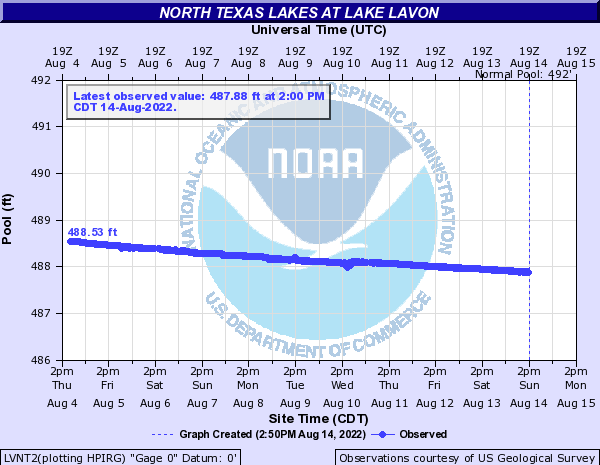 The HIGHEST Level We Observed Was On 07/11/2007 - 501.67 - 9.67 Feet HIGH! 1. We NEVER disclose your E-Mail address to ANYONE, nor do we EVER send "Junk Mail." If you receive unexpected E-Mail from anyone@telehobbies.com, it is from "spammers", not from us. Our services are free, browser-based WEB pages with NO SPYWARE, NO VIRUS, NO COOKIES, NO POPUPS, and NO ADS downloaded to your computer. 2. After recording and reporting on Rockwall's weather for 14 years, we HAVE MOVED our Rockwall weather station a few miles to the east. Beginning October 1st, this weather station HAS MOVED to Interstate 30 and Farm Road 36, near Caddo Mills (near Redline Raceway). We will retain Rockwall's historical data on this site and have opened a NEW weather station in Quinlan. Our weather watchers will continue to report rainfall observations in the Rockwall area. 3. 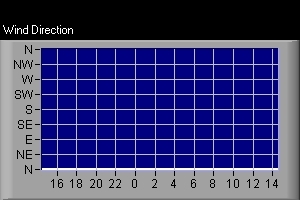 03/12/2005 - Our Quinlan weather station has been shut down. In March of 2007, Caddo Mills Lost A Patriot, Sgt. Emerson Brand, In Iraq. This Small Town Honors Its Heroes In A Big Way. If You Could Not Be There To Experience Sgt. Brand's Arrival To Majors Field And Then The Trip To The Funeral Home In Caddo Mills, Please Click On The Link Below Or The Picture To The Left. Demon 2-8 Cav, 1BCT, 1CD lost one of our heroes yesterday, 1st Lt. Gwilym Newman. He was a killed by a sniper while in Iraq. He is survived by his wife and a year old son, who will be turning 2 years old on April 27th, the same birthday as his father. 1st Lt. Newman arrived Friday at Major's Field and was escorted to a funeral home in Mesquite. 1st Lt. Newman’s funeral services were held in Rockwall on Monday 04/23/2007. The Department of Defense announced the death of four soldiers who were supporting Operation Iraqi Freedom. They died June 23 in Taji, Iraq, of wounds suffered when an improvised explosive device detonated near their vehicle. They were assigned to the 2nd Battalion, 8th Cavalry Regiment, 1st Brigade Combat Team, 1st Cavalry Division, Fort Hood, Texas. 23 year old Army Sergeant Jimy M. Malone decided to enlist when he was a senior at Wills Point High School. The Army took Sergeant Malone on two tours to the Middle East, where he saw first hand the costs of war. He shared those experiences with students at his alma mater who were considering a military career. Now, his picture will be added to the school's wall of honor so his sacrifice will not be forgotten. He leaves behind his wife and their five month old baby girl. He will be buried in Arlington National Cemetery. Funeral services with full military honors were held on February 5, 2008, at Goggans Funeral Home in Quinlan. He was born July 29, 1981, in Houston. He attended schools in Houston and Dallas. His passion was golf. Died: June 4, 2008 in Operation Iraqi Freedom. Incident: Killed in Tikrit along with two fellow soldiers when their unit was attacked by enemy forces using small arms fire and hand grenades. Spc. Emard, Sgt. Shane P. Duffy, 22, of Taunton, Mass., and Sgt. Cody R. Legg, 23, of Escondido, Calif., all died of wounds they received when their unit was attacked by enemy forces in Sharqat, Iraq. 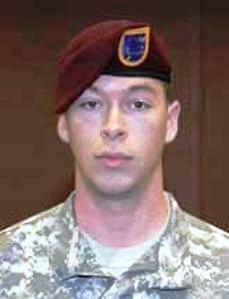 "They were in a pretty heavy mission," said his mother, Debbie Emard of Terrell. "There was a purpose: he was doing his job in defending his country and family." Services for Spc. Emard were held at Lake Pointe Church in Rockwall. He was buried in Dallas-Fort Worth National Cemetery in Dallas. Born in Dallas, Spc. Emard grew up in Garland and Terrell. He attended Garland Christian Academy and public schools in Terrell. He was a freshman at Quinlan Ford High School and transferred to Boles High School in Quinlan, Texas. Spc. Emard's family understands that his military decorations will include a Purple Heart with two Oak Leaf Clusters, signifying he had been wounded three times, and a Bronze Star. They are awaiting official notification of his honors. In addition to his mother, Spc. Emard is survived by his father, David Emard of Terrell, his sister, Jennifer Marler of Terrell and his grandmother, Jean Emard of Garland. Shawn McNabb, a 2003 Terrell High School graduate, was killed in action Sunday in Afghanistan. McNabb, a combat medic, was among a group of soldiers killed when their helicopter went down shortly after completing a mission. Two other soldiers survived. 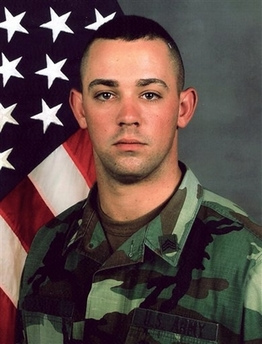 McNabb, the son of David and Ann McNabb, was a member of the 160th Special Operations Aviation Regiment based at Hunter Army Airfield in Georgia. During his six-year military career, he had served a tour in Korea and three tours in Iraq. After his original unit disbanded, McNabb received extensive training and became a combat medic. McNabb's parents said their son was a patriot who knew the dangers of his job. "He planned to become a physician's assistant," his father said Tuesday morning of his son's long-term goals. McNabb also was planning on running a marathon when he returned home in February. McNabb is survived by a sister, Heather Gray, and her husband Josh, of Waxahachie and his fiancée Sarah Kirk of Savannah, Ga. Sorry - The News Video Is No Longer Available. 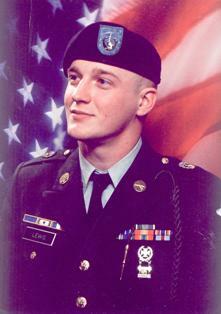 SPC Joseph Michael Lewis, of Terrell, passed away Nov. 17, 2009 while defending our nation’s freedom in Afghanistan. 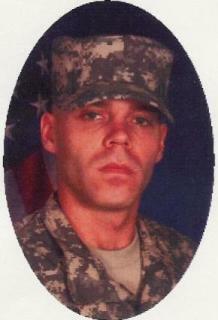 SPC Lewis was born Sept. 25, 1983 in Dallas and attended L.D. Bell High School in Hurst, as well as Trinity Valley Community College in Terrell. SPC Lewis completed basic training at Fort Knox in Kentucky in 2005. He was a Calvary Scout at Camp Casey in Korea for 1 1/2 years and at Fort Lewis in Washington before being deployed to Afghanistan. SPC Lewis was serving in Afghanistan in the 8th squadron, 1st Calvary Regiment, on the 5th Stryker Brigade Combat Team, 2nd Infantry Division. Joseph is survived by his wife, Teresa Lewis of Terrell; his infant daughter, Abiageal Lewis of Terrell; parents, Mike and Pam Lewis of Terrell; sister, Amanda Lewis Rodriguez and husband, Josh, of Fort Worth; nephews Jackson Thomas and Benjamin Rodriguez; niece, Natalie Thomas; grandparents: Carl and Betty Baker of Terrell and Barbara Hall of Terrell as well as numerous aunts, uncles, cousins and a host of friends who loved him dearly. A funeral service with full military honors was held at 2 p.m., Saturday, Nov. 28 at Good Shepherd Episcopal Church, 200 W. College Street in Terrell with interment following at Highland Memorial Gardens in Terrell. Spc. Osborne died July 5 in Yakuta, Afghanistan, of injuries sustained when insurgents attacked their unit using an improvised explosive device. The soldiers were assigned to the 4th Squadron, 73rd Armor Regiment, 4th Brigade Combat Team, 82nd Airborne Division, Fort Bragg, N.C.
Jerod graduated from Rockwall-Heath High School in 2008, after spending his senior year preparing to go into the Army to become a medic. Jerod began his Army career in boot camp in Ft. Leonard Wood, and then was assigned to the 82nd Airborne. He transferred to Ft. Benning, GA, for Airborne training. Jerod received several medals for his dedication above and beyond regular duty. In August 2009 he was sent to Afghanistan after a visit with family and friends. Jerod is survived by his parents: Sharon Grillett and husband Gary of Rockwall, TX, and Allan G. Osborne, III, of Caddo Mills, TX, sister: Hayley Grillett, brothers: Wau-tash, Nako and Nah-tah-ni Grillett and grandparents: Charlotte Henson of Rockwall, TX, Marilyn Osborne of Baltimore, MD, and Patricia Burchwell of TX. 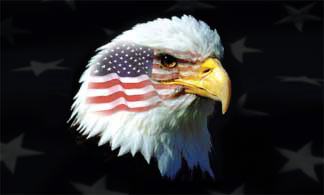 And Provided Information Technology Services To The North Texas Patriot Guard Riders, Including Their WEB Site And Mission Calendar For Nearly Ten Years.